CTA’s innovative pre powder coat seam sealer adhesives. Buy 12 packs or trial kits. 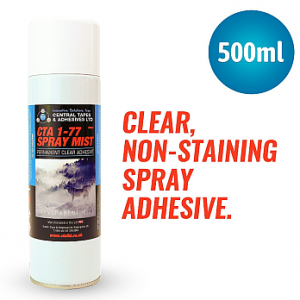 CTA’s pre powder coat seam sealer adhesive range is readily available in the UK and from our distributors in the USA and South Africa. If your company is interested in becoming a distributor for Central Tapes & Adhesives Ltd, please get in touch. We have distributors in the USA, MJB Welding Supply in California and Silver Back Equipment in South Africa. 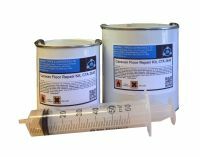 Our pre powder coat seam sealer adhesive range consists of three innovative products – 15002, 15002B and 16002, (the improved the version of our CTA 15000). We also have a case study on 15002 pre powder coat seam sealer. If you require a more environmentally friendly, solvent-free product, we would recommend our CTA 15002B. 15000, 15002 and 15002B products are heat curing and black in colour. If you have pre treatment process as part of their production, we would recommend our CTA 16002, which is white in colour and is moisture curing with high temperature capabilities (so you can still put this product through an oven bake cycle). 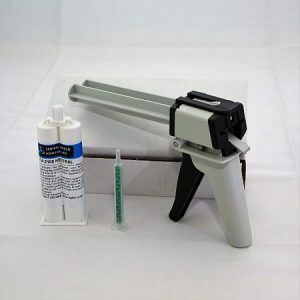 A heat curing adhesive, when cured in the oven, 15002B becomes very strong and over-paintable. The bake window of this product is between from 175°C to 200°C and takes 30 minutes. Curing and the development of adhesion are not achieved until the material is heated above 130°C. At these temperatures, the adhesive will cure in a single pass through the oven whilst simultaneously having its powder coat finish applied. 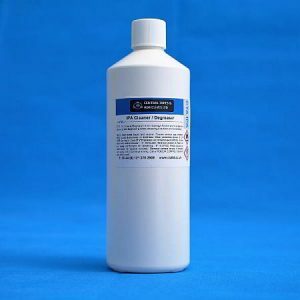 This product is specifically formulated with a unique chemistry compatible with most metal coating and oils used in the automotive industry. 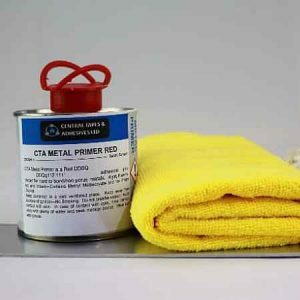 CTA 15002B is often used by paint and powder coat companies when preparing aluminium panels for the automotive, construction and manufacturing industry. Car and bus panels can be bonded together with our adhesive quicker than traditional methods. Also, stainless steel stiffeners can confidently be bonded to panels prior to paint cycles within the cladding and commercial facade industry. The advantage of using our CTA 15002B is it is non hazardous and not regulated making shipping costs low, environmentally friendly and safe to use. 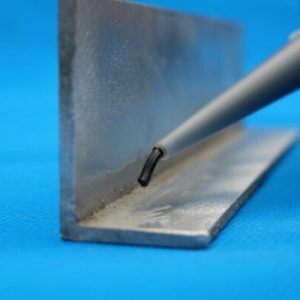 This pre powder coat seam sealer forms a solid seal and is suitable for all metal bonding; it particularly adheres well to cold rolled steel, electro and hot dipped galvanised zinc coatings, aluminium etc. 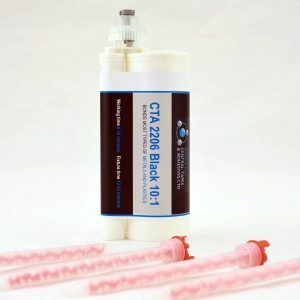 CTA 15002B is a black viscous paste and available in 310ml single component cartridges available to purchase in boxes of 12. We also provide a trial kit for this product, with two cartridges: CTA 15002B and CTA 16002. For more information, please contact us. All prices are inclusive of VAT. 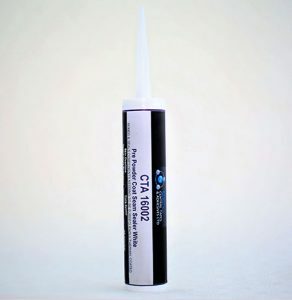 CTA 16002 is a high temperature, moisture curing solvent free adhesive. 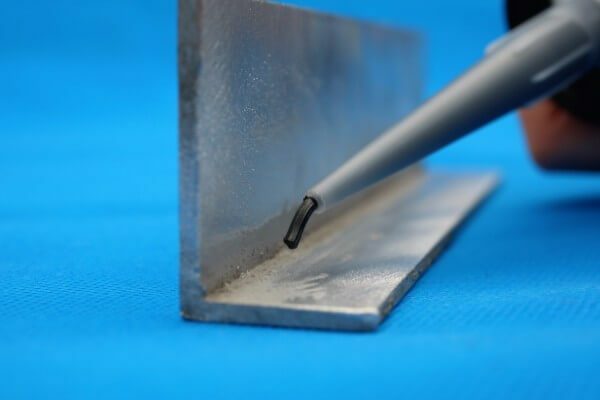 It was designed specifically to cope with pre treatment or degreasers, which are often applied to parts prior to being put through an oven bake cycle. Our extensive tests proved that 16002 powder coat adhesive once put in place and air dried, it is then possible to spray degreasers prior to being put through the oven bake cycle. This adhesive holds parts together whilst being pre treated and put through the powder coat oven cycle at 180°C for up to 45 minutes. We recommend you check the temperature of your oven and simply turn it down for great results. 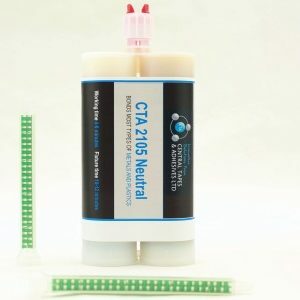 CTA 16002 is a 290ml cartridge and white in colour. Both 15002B and 160002 are great powder coat seam sealer/adhesives. Each cartridge weighs a little over 360g, so the specific gravity (sg) of the product is higher than most single part cartridges and therefore maintains its beaded position from initial application through to completed powder coat cycle. Both products bond the same component types and are used in the same industries. Why not purchase one of our trial kits and try both products to see which one works best for your application? 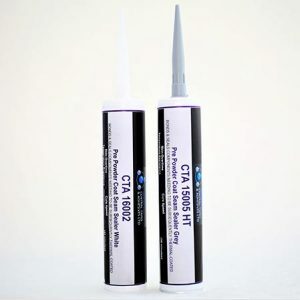 If you would like to discuss your specific application in more details or want more information on CTA’s pre powder coat seam sealer adhesive range, please contact us. All prices are inclusive of VAT.